We have an immediate need for a guitar teacher - acoustic and electric - beginner through advanced. Should also be able to teach bass and ukulele. Private lessons, group classes, contemporary ensembles and summer camps. If interested, email resume to Terry@KMACenter.org right away! (please read our vision and mission statements). 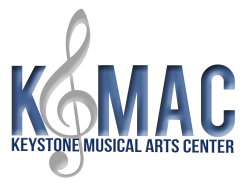 For more information, contact Terry Selders at 717-737-5622 or Terry@KMACenter.org.